The most common illness that the people are suffering today is constipation. It means a lot of things to different people,to some it simply means infrequent stool,having a hard time or difficulty in passing stools. What they are aware of is if they will not cure and take precautions on it soon enough it can lead to a number of complications,with hemorrhoids as the most common. Constipation can be also alternate with diarrhea,and this commonly occurs as part of the (IBS) irritable bowel movement. The most common symptoms of constipation include nausea,intestinal obstruction,headaches,vomiting,unable to pass gas,bad taste in the mouth,loss of appetite and coated tongue. 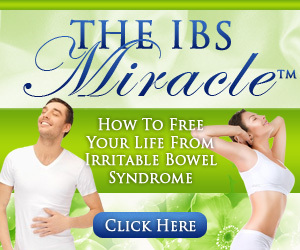 If you think that you are suffering from any of these symptoms,then you could be constipated. Constipation stools are often dry,hard,small and difficult to eliminate. Some people find it painful when they have a bowel movement and experiencing the sensation of a full bowel,bloating,and straining. Others think they are constipated if they do not have a bowel movement everyday. The normal stool elimination may be at least three times a day or three times a week,depends on the person. Constipation is only a symptom not a disease. Poor diet is one of the most common that cause’s constipation,and it is best to be aware of the foods that when frequently eaten could possibly lead to constipation. Grains that are stripped of its natural fiber content such as processed wheat and rice are known to cause constipation. Low-fiber cereals and grain foods,to include white rice and white flour are constipating for they do not contain bran and germ that give the grain a fiber boost. Pasta,noodles,biscuits and frozen grain products such as pancakes,pastry shells and waffles are included as well for they contain no more than 1 gram of fiber. Dry foods such as crackers and morning cereals,if eaten with insufficient fluid can also cause constipation. Substituting whole grain products to similar low-fiber products will help resolve constipation. Meats are known to be high in protein and may be low in fiber that could eventually result to constipation if frequently ingested. Examples of meats are red meat,may it be pork or beef,poultry,fish and other animal sourced foods. To prevent the occurrence of constipation,include meat in a well-balanced meal,together with fresh fruits and vegetables. Cold cuts and luncheon eat should be served together with whole grain bread,lettuce and tomato. Add up a vegetable salad as a side dish. Dairy products such as milk,sour cream,frozen yogurt,all kinds of cheese and ice cream can be constipating also. These foods contain no fiber at all. However,processed yogurt products are exempted for these were added with fiber and specific probiotic bacteria that promote digestive health. Too much fat in the diet can cause constipation. Overall high in fats has low fiber. All kinds of high fat foods can be constipating. It is,therefore,advisable to avoid intake of fried and greasy foods. It is recommended to prefer lower fat versions of foods that are normally high in fat content. Balance high fat foods with high fiber foods to prevent a self-form being constipated. All types of sweets,candies,pastries and other baked goods such as cakes,pies and cookies are known to contain low fiber and high fat and sugar. These contents definitely cause constipation. If too many sweets and junk foods are eaten,it can cause imbalance in the diet for a person tends to be full and losses his appetite,which leaves no room for high-fiber foods. It is best to avoid these specific food groups if one is already constipated. Remember,a well-balanced meal does great work at all time. Previous Previous post: What Is Spastic Colon? Next Next post: How Bananas Cause Constipation?